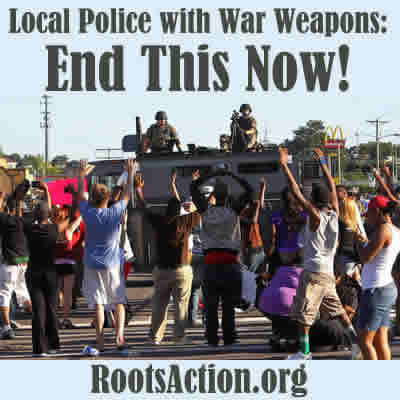 Local Police with War Weapons: End This Now! 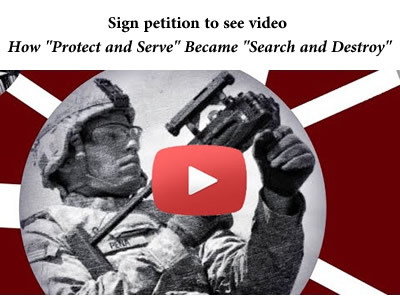 Local Police with War Weapons: End This Now! 50144 1 year ago Jim McMahon Godeffroy, NY , US Restore the US Constitution. 50136 2.7 years ago Leigh Clark Granada Hills, CA , US Disarm the police and stop the endless murders of unarmed African-American and Latino men. 50132 2.9 years ago gen agustsson redonod beach, CA , US boycott police or no more police? !